As French President François Hollande tightened security across France, promising “merciless” retribution for the series of coordinated terror attacks in Paris Friday night, world leaders reacted with expressions of solidarity as well as increased vigilance in their own countries. In response to the attacks, which the president called an “act of war” by Islamic State militants, Hollande announced three national days of mourning and bolstered security across the country, including a nationwide state of emergency — France’s first since World War II — and temporary border controls. Hollande also deployed roughly 1,500 soldiers to sites around Paris. Many Parisian businesses were closed Saturday, and the city government announced that its facilities, including schools, museums, libraries and food markets would be closed for the weekend. The company that operates the Eiffel Tower announced Saturday that the iconic tourist attraction will remain closed indefinitely, Agence France-Presse reported. Charles de Gaulle Airport remained open, though officials warned travelers to expect significant delays as the result of heightened security measures. Speaking from the White House Friday night, President Barack Obama expressed solidarity with the French people and described the acts of terror as an assault on humanity. “This is an attack not just on Paris, it’s an attack not just on the people of France, but this is an attack on all of humanity and the universal values that we share,” he said. The president also pledged support for the French government and emphasized the bonds of common history that the United States shares with France. 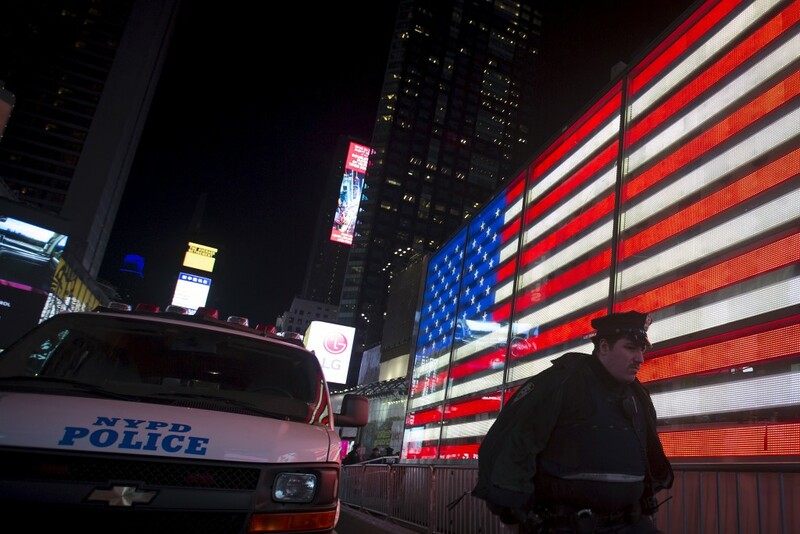 American authorities have said that there is no known domestic threat related to the Paris attacks, but officials across the country are taking precautionary measures. In a conversation with reporters on Friday night, New York City Mayor Bill de Blasio said that he had been briefed on the attacks and that, while there were no specific threats against the city, the New York Police Department would bolster security. “NYPD is of course ready, has already deployed resources to protect the French Mission to the U.N. here in New York City, and the French Consulate, and will be focusing on other sites related to France to make sure they are safe. We have our Critical Response Vehicles on high alert right now to be able to move wherever we need them,” he said. Philadelphia Police Commissioner Charles Ramsey said Friday evening that he had ordered extra patrols to city transportation centers and other potential targets, and that officials would upgrade security at Sunday’s football game between the Philadelphia Eagles and the Miami Dolphins, USA Today reported. Several major American sports organizations, including the National Hockey League and NASCAR, announced similar plans to enhance security at upcoming sporting events. France’s European neighbors, including Italy, the Netherlands and the U.K., also boosted security at the borders and other critical locations. British Prime Minister David Cameron called what happened in Paris “a horrifying and sickening attack” and cautioned the British people against an attack at home. 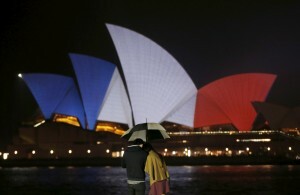 In addition to official statements of sympathy and condolence from governments around the world, iconic monuments in many countries were lit up with the French Tricolour flag in a display of unity with the French people, including Australia’s Sydney Opera House, the Brandenburg gate in Berlin, Germany, and the statue of Christ the Redeemer in Rio de Janeiro, Brazil.